Stéphane Israël is the Chief Executive Officer of Arianespace SAS, the world’s leading launch services company. He also is Executive Vice President of ArianeGroup, in charge of Civil Launcher Programs – which gives him industrial responsibility for the Ariane 5 and Ariane 6 programs. In addition, he is Chairman and Chief Executive Officer of Starsem, the Euro-Russian company in charge of the commercial operation of the Soyuz launcher at the Baikonur Cosmodrome. Stéphane Israël has high-level professional experience in both public economics and the aerospace industry. He holds degrees from the Ecole Normale Supérieure and the Ecole Nationale d’Administration (ENA). He was named a judge in the French Court of Auditors in 2001, where he participated primarily in missions concerning French space policy and the Ariane launch system. He joined Airbus Group in 2007, first as advisor to the CEO, then in various operational management positions in the group’s space division. 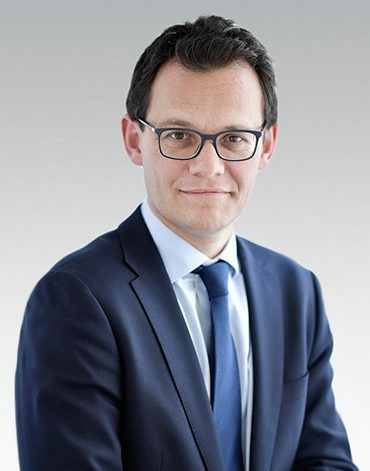 From May 2012 to April 2013, he was chief of staff in the cabinet of the French Minister for Productive Recovery, Ministry of Industry, Digital Economy, SMEs and Innovation. Stéphane Israël was named Chairman and Chief Executive Officer of Arianespace in April 2013. With the evolution of Arianespace’s governance in April 2017, he became Arianespace SAS CEO and a member of the Executive Committee of its ArianeGroup parent company. Born on January 3, 1971, he is married and the father of three children.